176 pages | 6 B/W Illus. 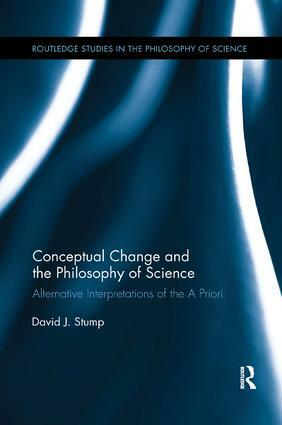 In this book, David Stump traces alternative conceptions of the a priori in the philosophy of science and defends a unique position in the current debates over conceptual change and the constitutive elements in science. Stump emphasizes the unique epistemological status of the constitutive elements of scientific theories, constitutive elements being the necessary preconditions that must be assumed in order to conduct a particular scientific inquiry. These constitutive elements, such as logic, mathematics, and even some fundamental laws of nature, were once taken to be a priori knowledge but can change, thus leading to a dynamic or relative a priori. Stump critically examines developments in thinking about constitutive elements in science as a priori knowledge, from Kant’s fixed and absolute a priori to Quine’s holistic empiricism. By examining the relationship between conceptual change and the epistemological status of constitutive elements in science, Stump puts forward an argument that scientific revolutions can be explained and relativism can be avoided without resorting to universals or absolutes. David J. Stump is a philosopher of science at the University of San Francisco, USA. He is co-editor, with Peter Galison, of The Disunity of Science, and is author of numerous journal articles on the history and philosophy of science.